NSW: Tenants at the Dinner Table - Can Tenants Attend Strata Meetings? 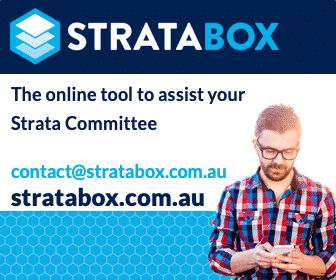 You are here: Home / Committee Concerns / Committee Concerns NSW / NSW: Q&A Tenants at the Dinner Table – Can Tenants Attend Strata Meetings? This article discussing whether tenants can attend strata meetings has been supplied by Andrew Terrell, Bright & Duggan. Question: We live in a small strata complex where half the residents are tenants. Can tenants attend strata meetings and hold positions on the committee? I am the secretary of a small self managed strata of 4 units in Sydney NSW. Some units are bigger than others and therefore pay higher strata fees, in case this is significant. One owner has suggested that because 2 out of 4 units are being rented and it looks as though they will be for years to come, a tenant has the right to be put forward and be elected to a position on the Committee. Is this correct? Can tenants attend strata meetings and be part of the committee? If so, does it make any difference that renters form less than 50% of unit entitlements, ie the 2 smaller apartments are rented and the 2 bigger are owner occupied? Does the Committee need to notify anyone other than all owners of meeting agendas and minutes? Do tenants have the right to attend AGMs perhaps even speak at AGMs but not the right to vote on any issue? Answer: They can elect a tenant representative if they wish. Is this correct? Yes, they can elect a tenant representative if they wish. No, it doesn’t make any difference that renters form less than 50% of unit entitlements. If the tenants wish to appoint a tenant representative than the Committee does need to notify this representative of meeting agendas and minutes. Tenants can attend meetings but they might be asked to leave for discussion on any matters of a financial nature. This page from NSW Fair Trading also has some really helpful information about tenants attending strata meetings: Tenant participation. Visit our Strata Committee Concerns, Renting / Selling / Buying Strata Property OR Strata Information Pages by State. A strata meeting is a private meeting. This is because members of the public are not entitled to attend a strata meeting. And normally the discussions which take place at a strata meeting are private conversations. In that case a tenant other than one covered by the Act (a tenant representative for example) would not be entitled to attend meetings. 35. It is clear that the nature of the communications which take place at the meetings are of a confidential nature and are private in the sense that they are “not public”. The other option is that an owner in the Strata can choose to appoint another person (including a tenant) to be their bona fide nominee. That nominee of an owner (including a tenant) is then eligible to stand for a committee position and exercise exactly the same rights and responsibilities as the owner, IAW their unit entitlement or share within the body corporate. Hence a tenant could be the chair, secretary, treasurer or ordinary member and have full access and authority within the defined role of their position. That would include full access to financial records, transactions and decisions. Yes, that is true and has forever been the case.